AMP is a bi-weekly heavy metal podcast that plays two hours of brand new heavy music from indie, unsigned, and small-label bands from across the globe. All genres are represented; death, black, hard rock, industrial, doom, sludge, stoner, power, speed, goth, prog, instrumental, and yes, all the ‘cores’ and ‘posts’ too. Many of these bands are being played for the first time anywhere, so turn up your speakers, throw some devil horns, and rock out to the freshest metal available. Make sure to check out the playlists for each episode to get full track listings and info on all the songs played, along with links to the band’s sites and merchandise. Browse all the current episodes here, or use the player above. Follow the show on Instagram for daily doses of heavy metal album art from the bands played. 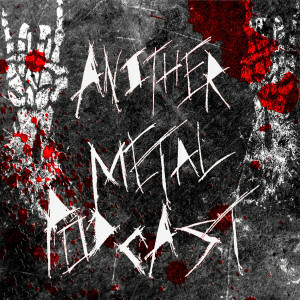 Another Metal Podcast is presented as part of Another Metal Review Blog and is hosted by Brett Reistroffer.